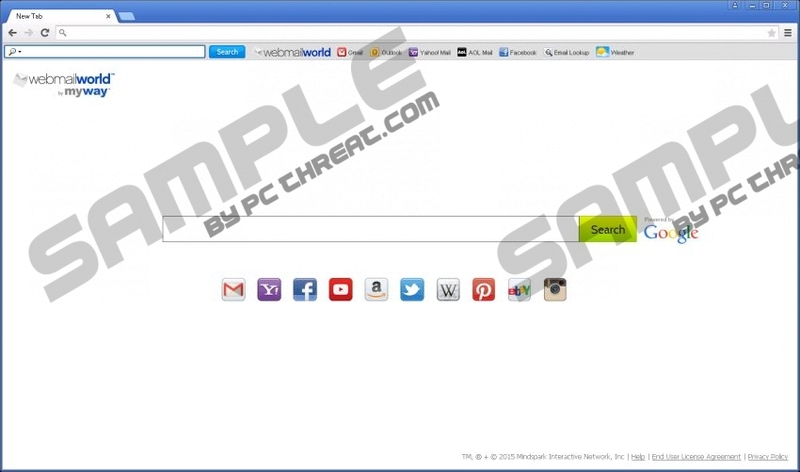 WebmailWorld Toolbar is a malicious browser add-on, which should be removed as soon as it is detected on your operating system. In most cases, WebmailWorld Toolbar is advertised as a tool that provides one-click access to your favorite webmail service programs. This statement might sound quite tempting to the everyday user but, unfortunately, there is more to WebmailWorld Toolbar. During the research, it has been discovered that this intrusive toolbar could act in an entirely malicious way. If you are a security conscious user, you should not hesitate to remove WebmailWorld Toolbar as it holds no valuable features. Read the rest of this article and find out how this infectious browser add-on functions and why it is so important to remove it as soon as possible. Even though, it is possible to download WebmailWorld Toolbar from its official websites, our reports show that quite a few users did not consciously install this intrusive toolbar. This signifies that WebmailWorld Toolbar is distributed in some other way. During the research, it has been discovered that in most cases this malicious browser add-on is distributed mostly via software bundles. In order to avoid getting your PC infected with this intrusive program, you need to avoid third-party download websites as they provide installers filled with various unwanted programs. Also, every security conscious user should implement a reliable antimalware tool as it provides overall system security at all times. As soon as WebmailWorld Toolbar enters your PC you will notice abnormal functionality of your web browser. Once this malicious toolbar is up and running your default home page and search engine will be changed without any notification. It is annoying and frustrating to say the least as it will take quite a bit of time to restore the default settings. We strongly advise no to use anything that WebmailWorld Toolbar might provide you with and to remove it altogether without any hesitation. This is so because it has been discovered that this toolbar might be used by other Internet-based infections as a backdoor into your operating system. Thus, WebmailWorld Toolbar is not only annoying but imposes major virtual threats. Use the removal guide provided below to delete this malicious toolbar in no time. It is crucial to remove every single bit of WebmailWorld Toolbar since just a few leftover files or registry entries could be used in order to silently restore this malicious browser add-on. If you wish to be sure that WebmailWorld Toolbar was removed complete make sure to conduct an in-depth analysis of your PC once you have performed manual removal. Otherwise, we strongly advise you to use a professional antimalware tool for all removal purposes. Select WebmailWorld Toolbar and then click Uninstall. Right-click WebmailWorld Toolbar and select the Uninstall option. Click the recycle bin icon next to WebmailWorld Toolbar. Launch the browser and tap Alt+T on your keyboard at the same time. Quick & tested solution for WebmailWorld Toolbar removal.